31 Aug 2017 --- Unilever has resumed sourcing palm oil from the IOI Group following big improvements in the company’s policy, but the multinational warns that it will closely monitor progress to make sure sourcing practices stay on track. “We are pleased to see the progress IOI has made so far, in particular, on third party suppliers, independent verifications, and increased transparency,” Unilever says in a statement. Last August, the Roundtable on Sustainable Palm Oil (RSPO) lifted the suspension of RSPO certification for the entire IOI Group. Unilever recognizes that IOI has made a good start with the remedial action plan to resolve the Ketapang complaint case, which was at the center of the suspension. But at this time, Unilever wanted to see more from the IOI Group and despite the RSPO lifting the suspension, it still did not resume sourcing palm oil products. At the time Unilever said it was looking for “tangible progress and on-the-ground implementation of IOI sustainability action plan and strategies to ensure better working practices. Unilever has always stressed that it expects the highest standards from all of its suppliers and will only source from suppliers who demonstrate strict adherence to its own Sustainable Palm Oil Policy. The IOI Group has worked extensively to improve its own policy and this is reflected with Unilever’s move to resume sourcing. In April, FoodIngredientsFirst reported how as one of the largest palm oil traders in the world, the company has made a significant commitment to protect Indonesia’s forests, address the problems on its own plantations and set a new standard for the entire industry. The IOI Group was suspended from the RSPO for alleged violations of sourcing standards, in respect of complaints against its Indonesian subsidiaries’ plantation estates last year. This obviously impacted stakeholders and the reputation of the group. Some months later, IOI Group regained its certified status but some companies were still reluctant to use the supplier. 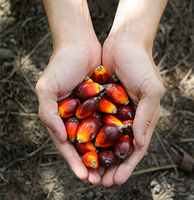 This then prompted the group to work even harder on its policies and practices and in the same month as the temporary suspension was lifted, the IOI Corporation launched its updated Sustainable Palm Oil Policy (SPOP) alongside a comprehensive Sustainability Implementation Plan (SIP). IOI Group Unilever Palm Oil Roundtable On Sustainable Palm Oil (RSPO) Sustainability Sourcing.